Literature student on the outside, baking addict within. 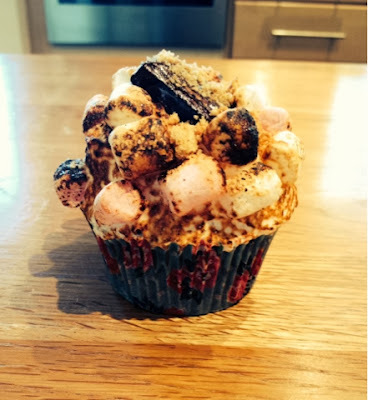 After a very long (unplanned) break from blogging i'm back on it, and this time I'm bringing you a deliciously decadent bonfire treat: s'mores cupcakes. Yes, I do realize that bonfire night was rather a while ago now.. unfortunately however, being a student means I have various other commitments to fulfill. The past few weeks have shot by in a haze of essays, Old English translations, coffee breaks, Ball Committee meetings, and nights out, all which make for one very tired (but very happy) Leah. Thus I sit, on this rainy Tuesday of 6th week, in my room at Lincoln College (well, opposite Lincoln college in the eponymous Mitre, an impenetrable labyrinth of student rooms and somewhat strange odours..), a cup of miso soup at my side, finally writing this blog post. 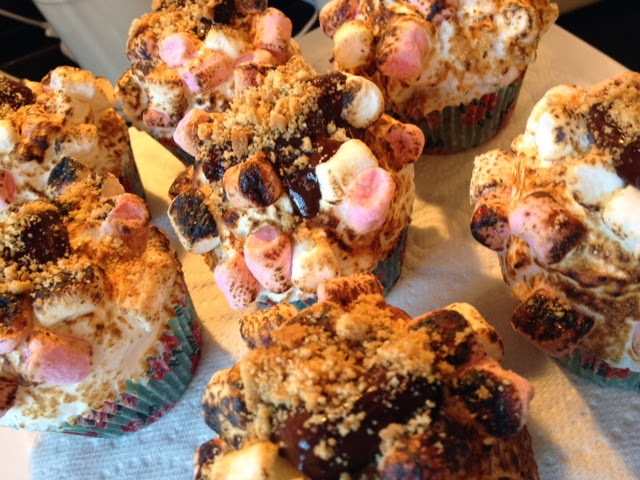 And there's really no reason why s'mores cupcakes should only be baked for bonfire night anyway - every occasion is a biscuit-marshmallow-chocolatey-goeey-goodness occasion! An abundance of mini marshmallows. Preheat the oven to 170 degrees Celsius and line a muffin tin with muffin cases. Use a grater to grate the chilled chocolate, then set aside. Crush the biscuits in a food processor (or violently with a rolling pin). 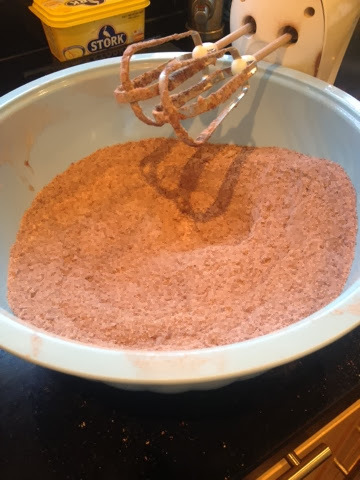 Using a hand-held electric whisk, beat together the butter, sugar, flour, cocoa powder, baking powder and salt until they resemble fine breadcrumbs. Mix the eggs and milk by hand in a jug, then pour 3/4 of this mixture into the dry ingredients and beat with the hand-held electric whisk until smooth. Add the rest of the milk and eggs and continue beating until all is well incorporated; be sure to scrape down the sides of the bowl with a spatula! Fill each paper case two thirds full of batter. 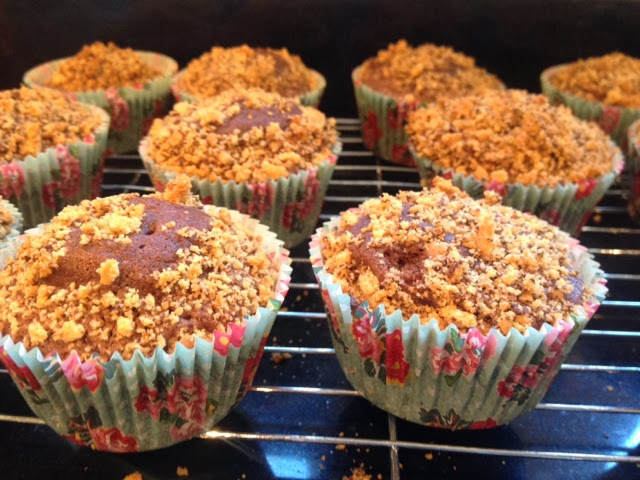 Sprinkle the chocolate shavings and the crushed biscuits on top of the cupcakes. Bake in the oven for 18-20 minutes until risen and springy to the touch. Leave to cool slightly then remove from the tin and place on a wire rack to cool completely before frosting. Put the sugar in a small saucepan with 150ml of water and bring to the boil. Meanwhile, using a free-standing electric mixer, whisk the egg whites until foamy. When the sugar has reached the soft ball stage, pour onto the beaten eggs while beating on a medium speed. Be careful: do not let the hot sugar mix touch the mixers and flick everywhere as it will be very hot! Once added, turn the speed up to high and whisk until the underside of the bowl is lukewarm. The meringue should have increased in size (a lot) and become white, smooth, and shiny. Smooth the meringue on top of the cooled cupcakes. Top with mini marshmallows and a square of dark chocolate, then swirl about using a palette knife. With a cook's blowtorch, lightly brown the meringue to give it a baked appearance; the marshmallows will go all gooey and melt into the meringue. Yum. To finish, sprinkle over some remaining biscuit crumbs. And then, share with your friends (or not) and sit around feeling incredibly happy! Despite the tears and pain involved in making these, and the fact that I subsequently had to wear a large bandage around my wrist for a good two weeks, it was well worth it. They're simply amazing.